Christmas is all about gifts, family, friends and good food. In Spain, however, there is another traditional attraction that takes place every year in the run-up to the Big Day. That's because every December 22nd the Spanish Lottery known as "El Gordo" sees a whole nation glued to their TV screens and dreaming of a very special Christmas present. El Gordo is the largest lottery in the world with a total prize pool of 2.3 billion euros. Thousands of ticket numbers win prizes of between €1,000 and €4 million. We have summarised everything you need to know about this generous lottery in a very short video below. 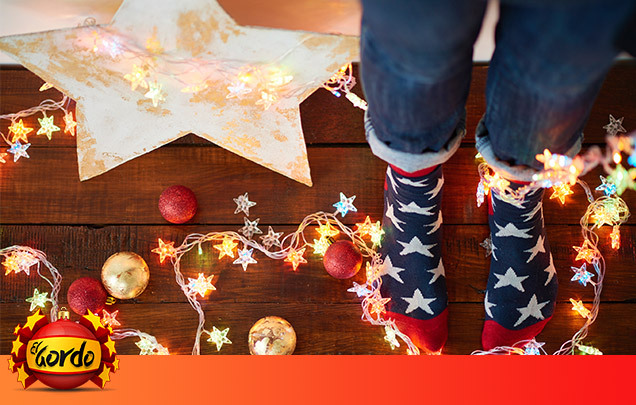 Try your luck this year with the Spanish Christmas lottery! Many Spanish people believe that the Christmas lottery was originally launched to provide a highlight in the lead-up to the Christmas celebrations. In fact, the truth is rather different. The first draw took place all the way back in 1812, but the reason for this lottery was to fund the Spanish armies in their battle against the forces of Emperor Napoleon of France. The first winning tickets were drawn in Cádiz, but for more than 100 years Madrid has been host to the largest lottery in the world. The only time that changed was during the Spanish Civil War when the draw had to be relocated to Valencia. December 22 is a red-letter day in the calendars of the Spanish people today, and according to estimates, about 90 percent of the population of Spain are eagerly awaiting the annual announcement of the winning numbers. El Gordo Offer applies to New Customers Only. Meanwhile, the ceremony of drawing out the winning numbers has reached a status similar to the obligatory church visit on Christmas Eve. The event lasts over three hours and captivates the entire country as it is broadcast live on state television from start to finish. Two gigantic spherical cages are used during the draw process. Inside the larger of these are 100,000 wooden balls each emblazoned with five-digit numbers from 00000 to 99999. The smaller sphere contains 1,807 balls with a number representing the euro amount. One ball from both cages is released at the same time to match a number with its prize, and this continues until the smaller sphere is empty. As you can imagine, this takes quite some time! The performance of the draw has hardly changed at all since 1812, even if the venue and the date have both changed over the years. The new draw date of December 22nd eventually led to its becoming known as the Spanish Christmas lottery. The first use of the name "Sorteo Extraordinario de Navidad", which roughly translates to the 'Extraordinary Christmas Lottery', has been dated back to the year 1892. Originally the balls were drawn by orphans from a local school, and today school-children still do that prestigious job. But what makes the Christmas lottery interesting is the way in which the winnings are distributed among the lot buyers. First, 70 percent of total revenue is paid out in prizes, a much higher amount than is usual with other lotteries. And second, it ensures that as many prizes as possible are distributed among the population. The price for a ticket is relatively high, which is why most Spaniards buy only shares (commonly called décimos) rather than a full share, meaning that the joy of a win can be shared between many people. The jackpot of the Christmas lottery is called "El Gordo" which translates to "The Fat One". Sticking to the motto "less is more", this top prize is worth "only" four million euros, but the good news is that this amount will be paid out 170 times. 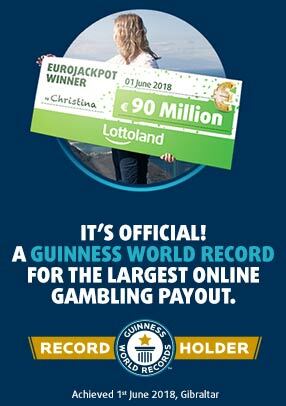 This means that a whopping €680 million is paid out in total in the first prize class waiting to be won by the people. In addition, there are many, many smaller prizes such as "La Pedrea" (loosely translated as 'avalanche of pebbles'), generated in the lower classes to boost that Christmas cheer. Some stores, such as "Doña Manolita" in Madrid or "La Bruixa d'Or" in Sort have become very famous as sellers of lottery tickets. El Gordo fans stand in line for hours just to buy a ticket from these supposedly 'lucky' outlets. Here the lottery numbers that have some significance to people tend to be particularly popular. In 2015, among other things, the number 28915 quickly sold out because this represented the date of the total eclipse in that year. Since many shares with the same number are delivered to the sales outlets in a particular village, town or region, in the event of a win there is often an outbreak of celebrations for that whole region if the number comes out of the draw. One extreme example occurred in 2011 when (almost) every single inhabitant of the small town of Sodeto became rich overnight as they had all bought the same winning lot series. In 2013 the town of Mondragón, hit hard by the economic crisis, was able to bring around 160 million euros into the northern Basque region when they hit the big time. You could probably hear the popping of the champagne corks in Madrid. 2015 was also a celebrated year for the Spanish Christmas Lottery at Lottoland. A small syndicate from Wolfsburg in German showed just how to hit the biggest lottery in the world when they bet on share number 79140 and nabbed the maximum profit of €4 million. THE EL GORDO TV ADS: BOX OFFICE GOLD! Once again, with Lottoland you don't need to head over to Spain in order to enjoy the fun. You can simply place a bet with Lottoland on the outcome of the Spanish Christmas Lottery to win the same prizes. Check out our Christmas Lottery page and wait for the 22nd of December to discover the outcome of this generous lottery. Feliz Navidad and good luck!